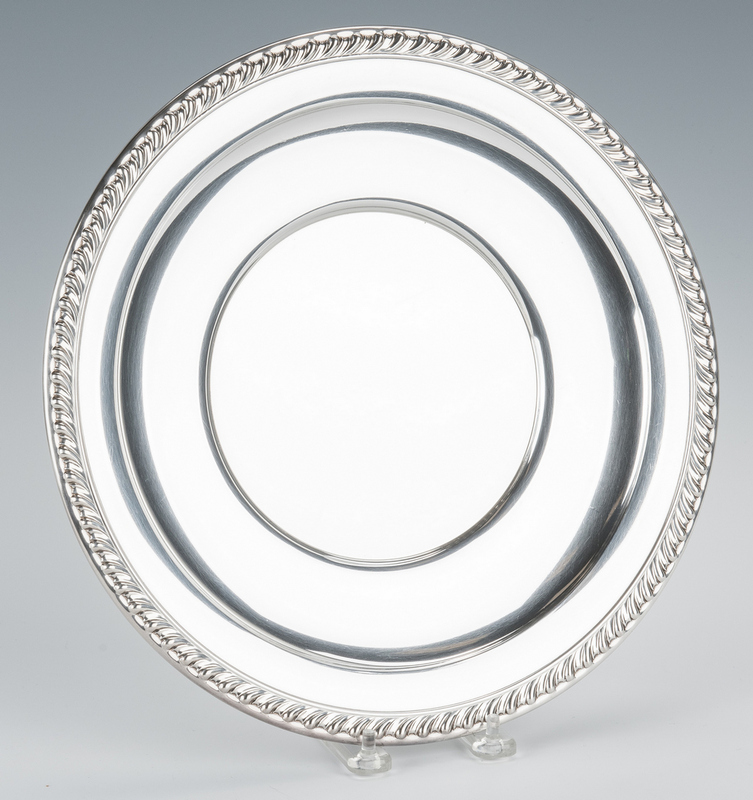 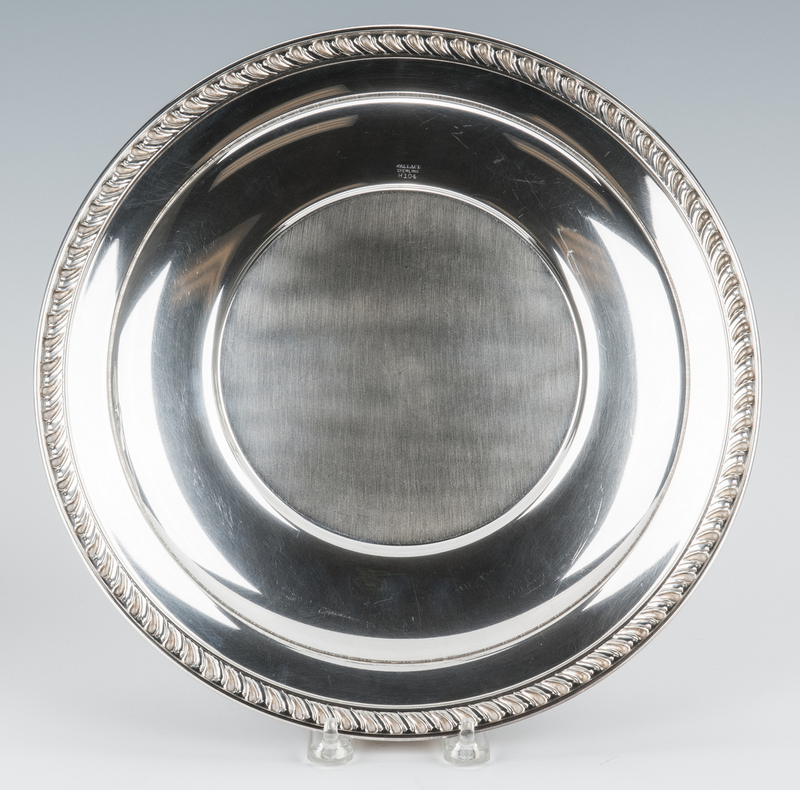 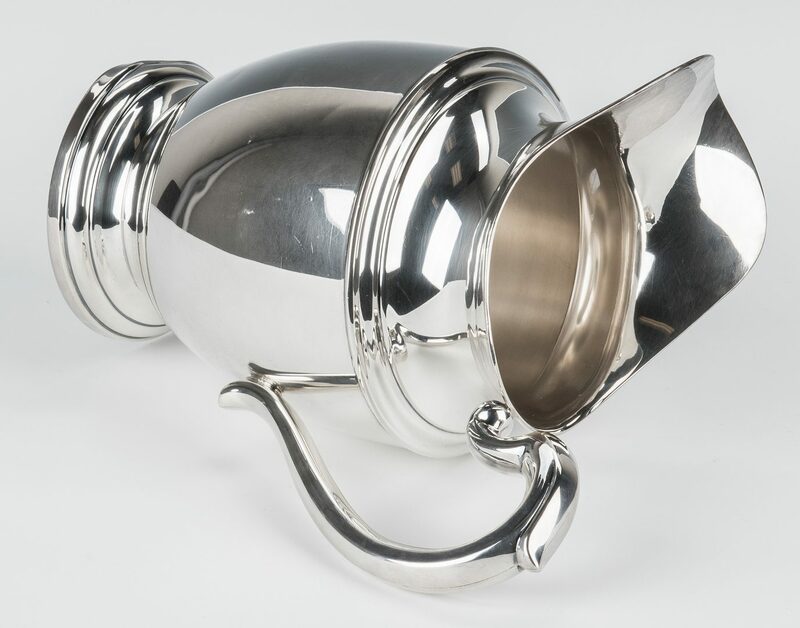 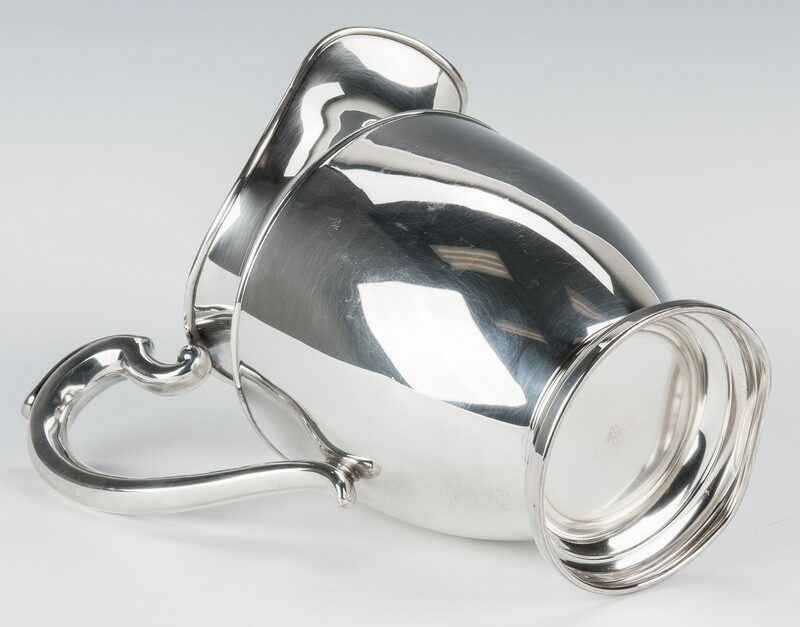 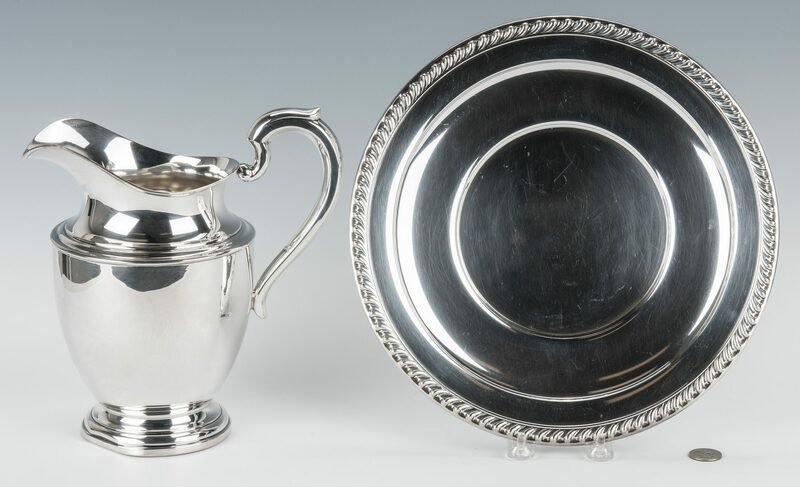 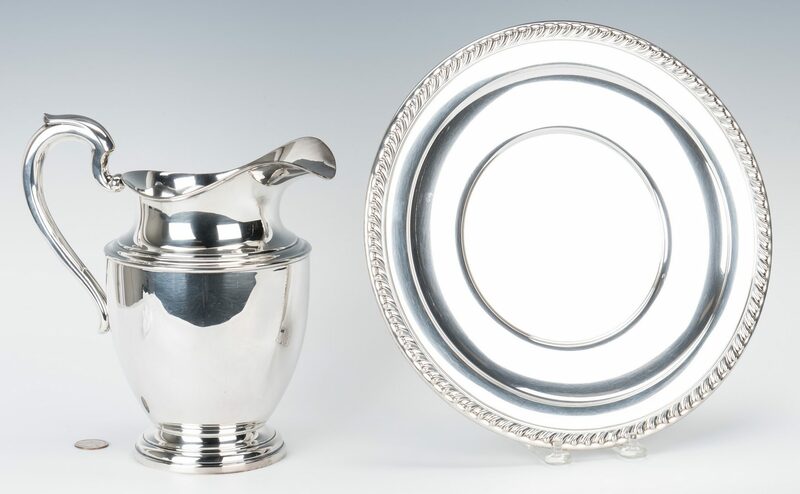 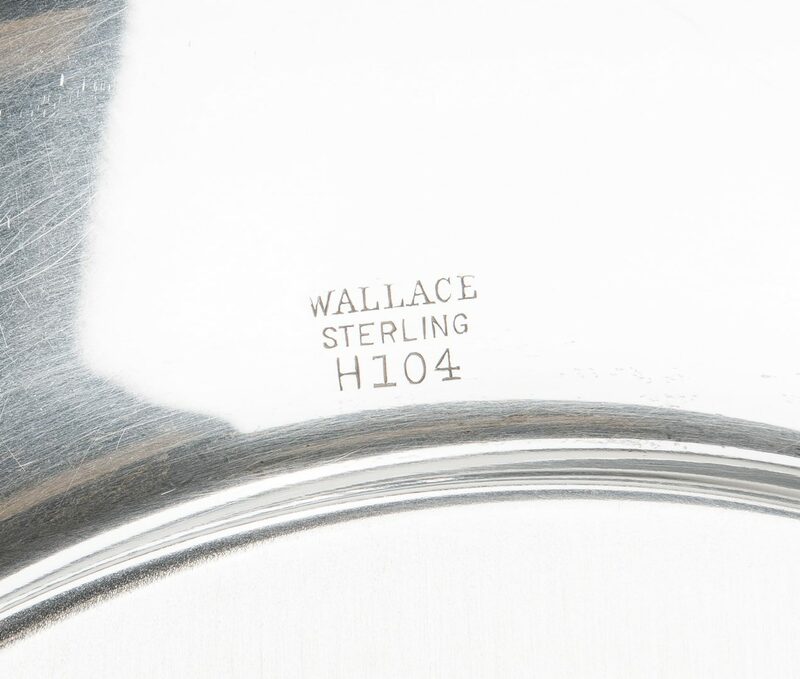 Two (2) sterling silver serving pieces including a round Wallace serving tray with gadrooned border and a National Silver Company water pitcher with helmet form spout and scrolled handle. 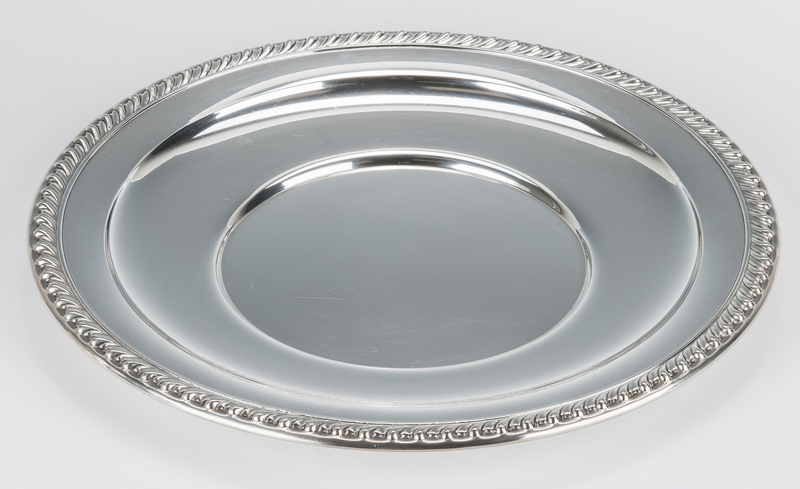 Tray – 12 1/4" dia. 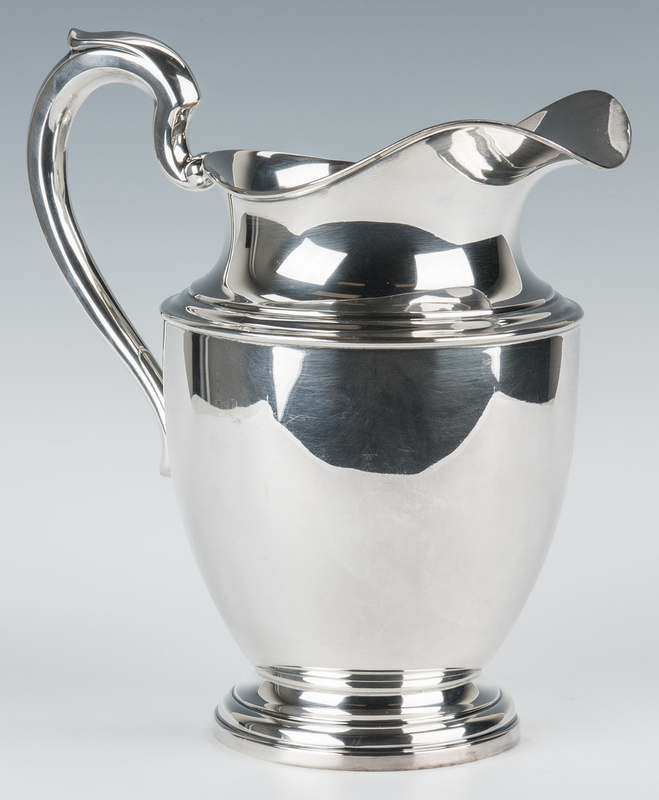 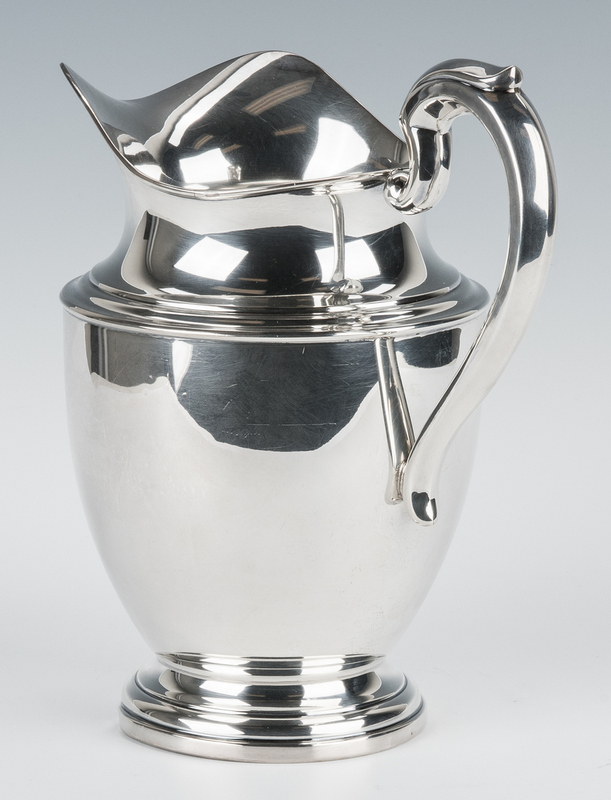 Pitcher – 9 1/2" H x 9 1/2" dia. 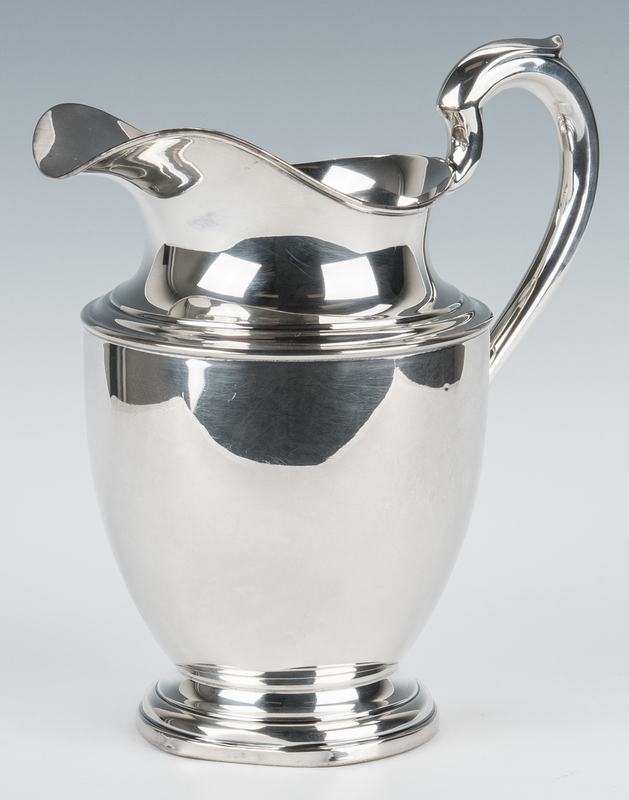 36.385 total troy ounces. Not monogrammed. 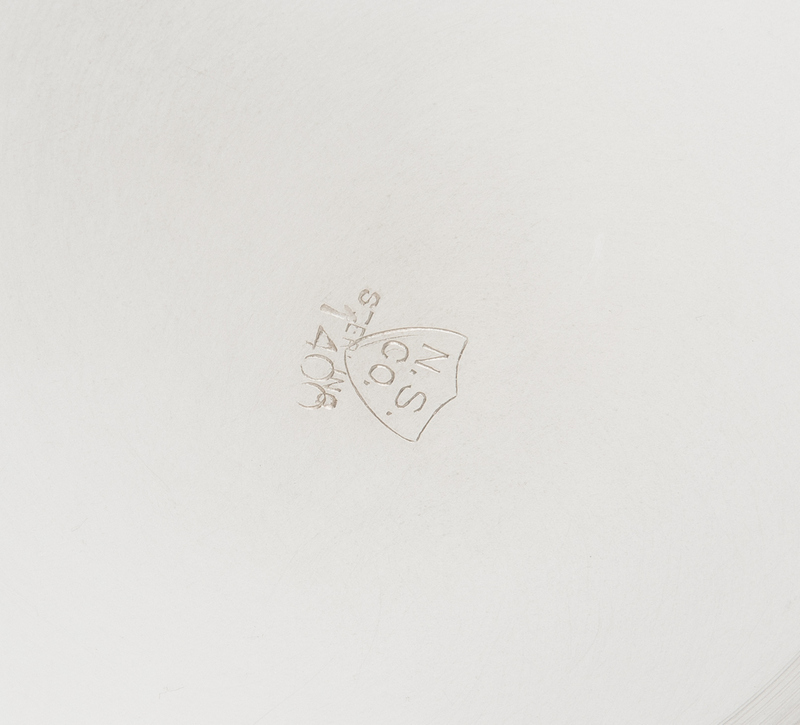 CONDITION: Tray with light surface scratching. 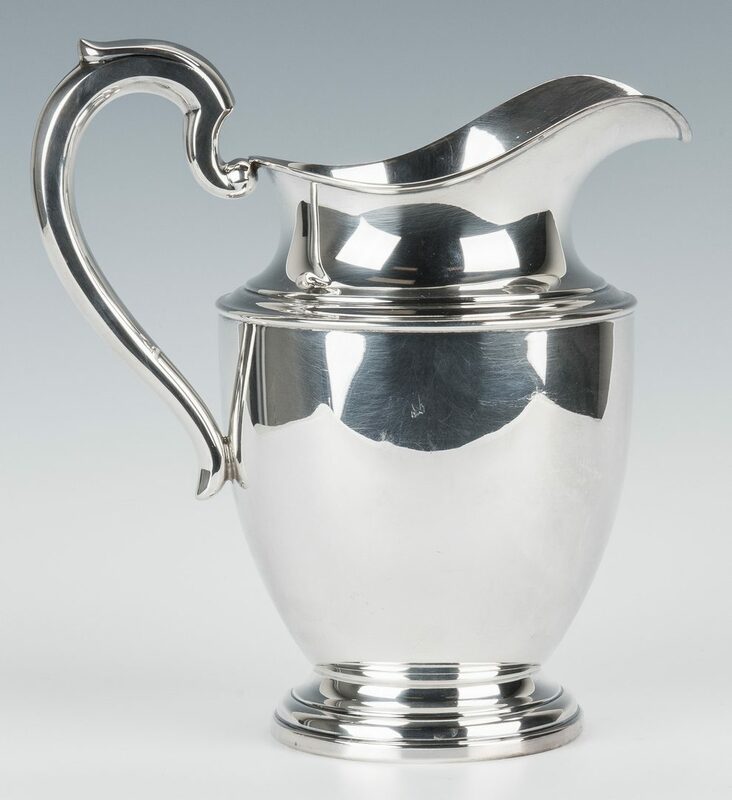 Pitcher base indented to one side, 1 1/4"L.